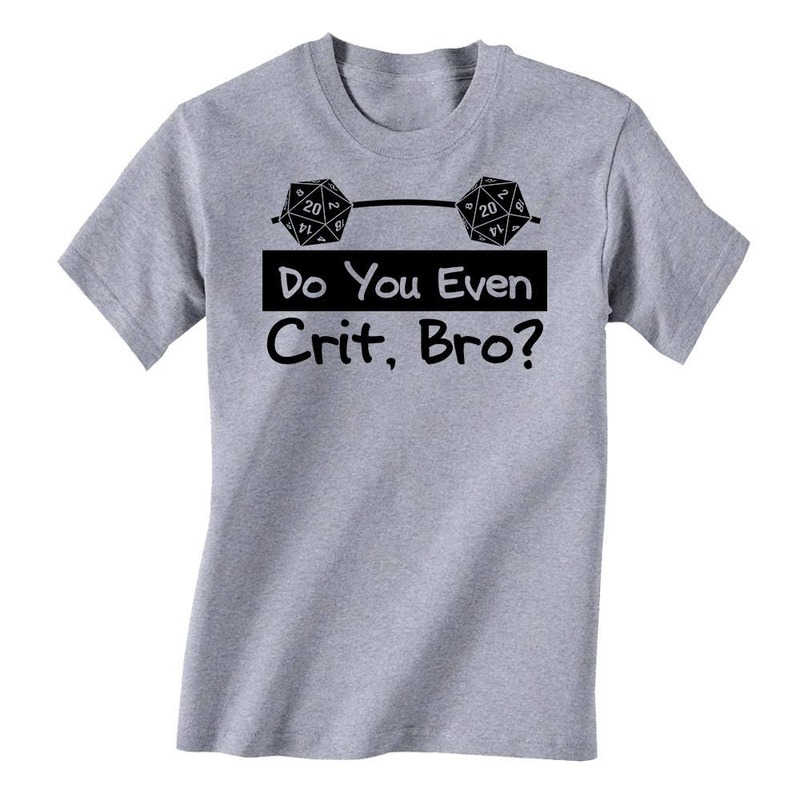 Do you even crit, bro? 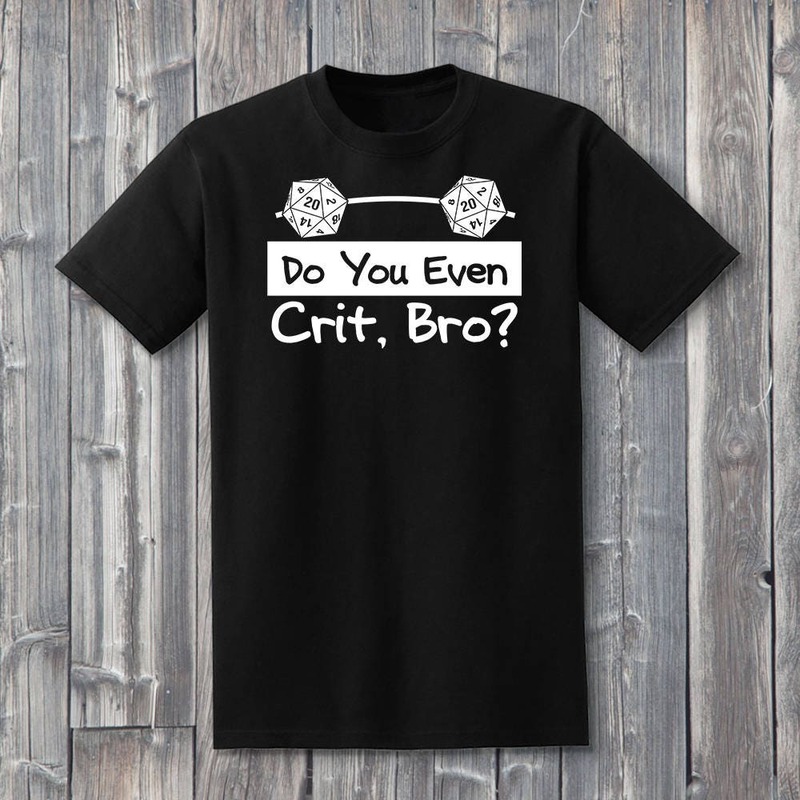 So many great adventures forget to crit, that's no way to go through life. 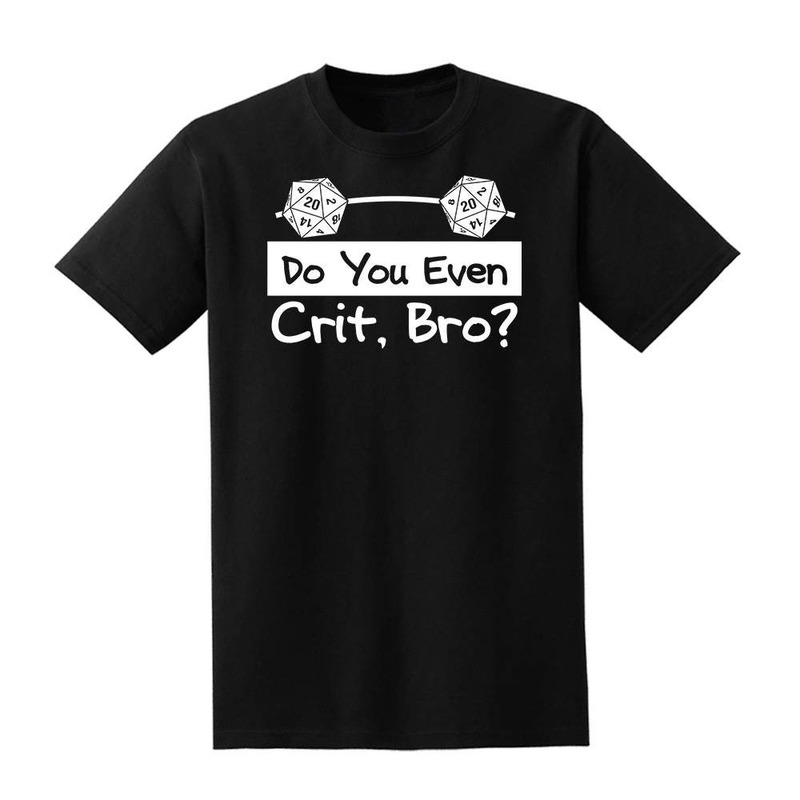 Help your party members remember to crit by purchasing this shirt. Don't let your friends critically miss their targets. 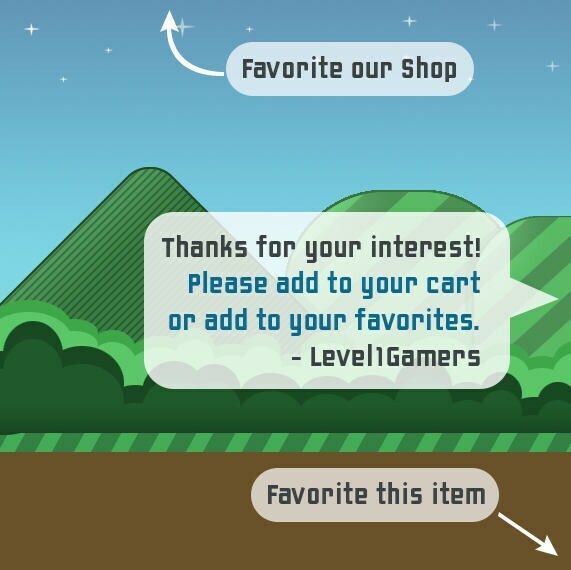 Makes a great gift for gamers of all ages. Each shirt is magically enhanced with the latest 100% soft cotton technology and hand pressed with the highest quality heat transfer vinyl. Available in many wonderful sizes and colors. Unisex for male and female adventures. 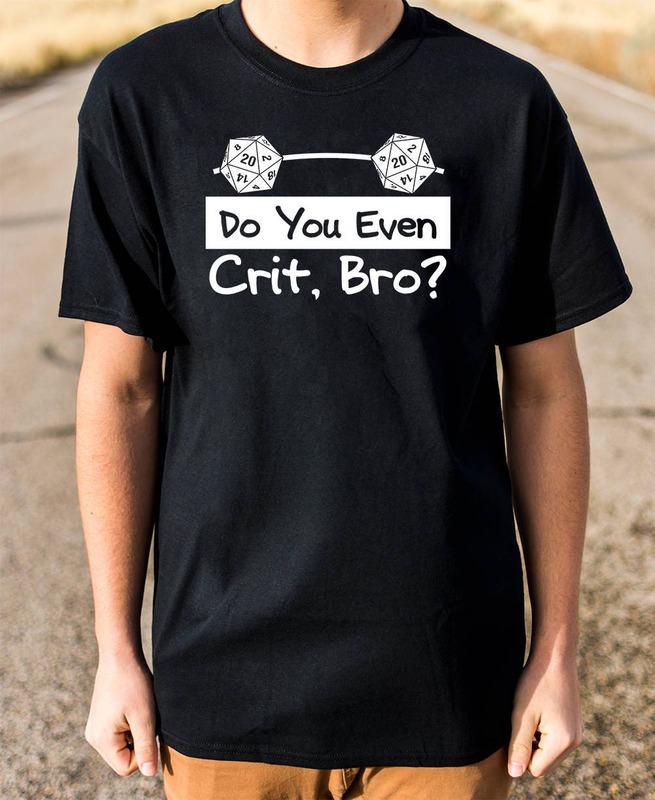 Do you even crit?